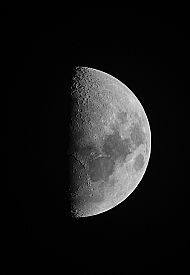 Jeremy has been into astronomy on and off for thirty years or so, as well as photography. His main interests within the hobby are the Sun, the Moon and Patrick Moore. Jeremy's first attempt at using video and stacking to produce images. 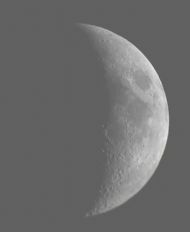 Taken on 4th April 2006, this image shows the six day old Moon as captured through a 6" Skywatcher Dobsonian! Not a traditional scope for astrophotography, but it is still possible to take images of brighter objects, such as the Moon and planets, with this kind of setup. 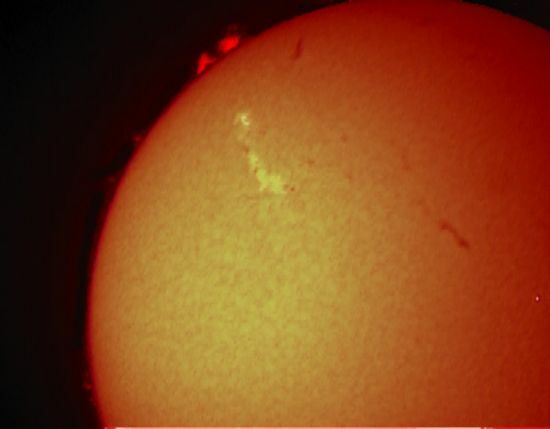 Snapped at the 2nd HAS BBQ on Saturday 10th June, this picture of the Sun shows just how simple astrophotography can be. 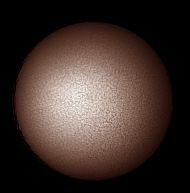 Equipment used was a Skywatcher 6" f8 Dobsonian reflector with Baader Solar Filter, Canon EOS10D digital camera, and settings were 1/60th sec at 200ASA. 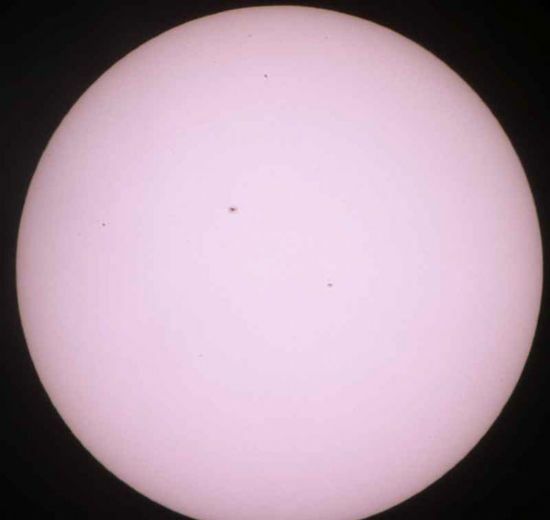 Several groups of small sunspots visible as well as the limb darkening effect. The Sun was definately out that day. Sometimes great pictures can be taken on the spur of the moment with basic equipment. Captured on 8th November using a Coronado PST Hydrogen Alpha scope and Starlight Express SXV7CM colour CCD. 1000th second exposure with two double stacked ND4 filters and a magnimax attached to the camera front. 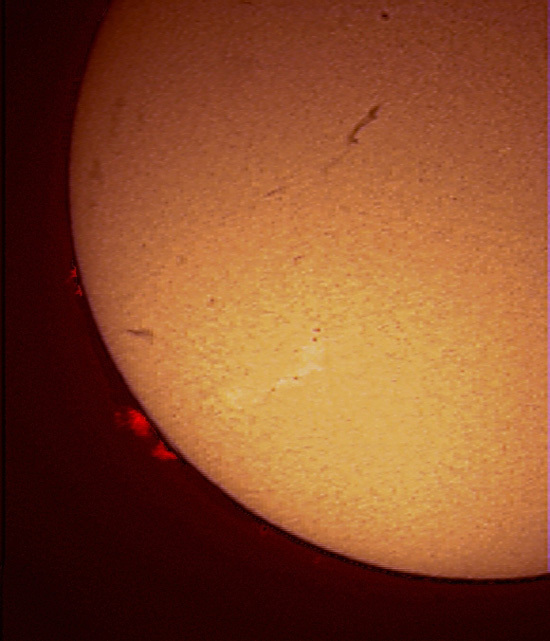 The image was then split into two, with one being processed to capture the prominence detail, and the other processed to get the Sun's disc detail, both in Astroart. The two were then re-combined using Photoshop, giving the final picture above. 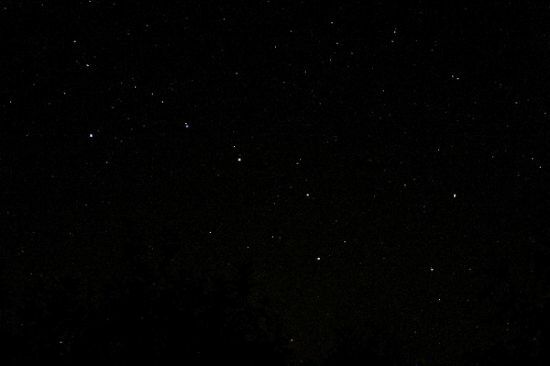 A nice wide angle shot of the famous 'Plough' asterism, part of the constellation of Ursa Major, or the Great Bear. The Plough can be used as a stellar signpost, using its stars as pointers to a lot of deep sky objects, other constellations or stars. EOS 10D camera, 800asa, 25mm lens, 5 sec exposure. 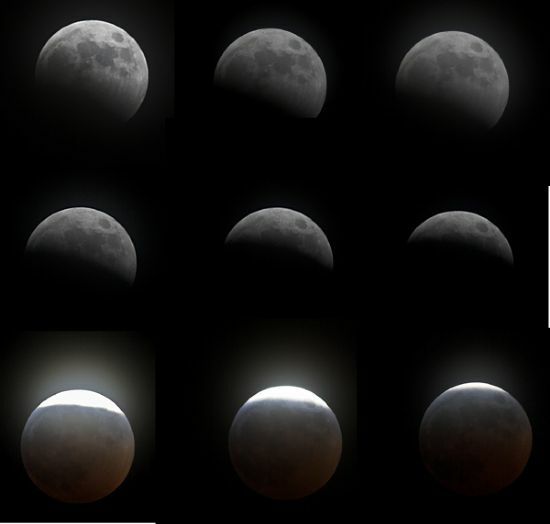 The total lunar eclipse of 3rd March 2007 was captured in a series of photographs taken with a Canon EOS-300D digital camera on an undriven Vixen Sphinx mount. Camera settings were 100ASA and exposure times of 1/100th sec throughout. Minor adjustments were made to the images in Paintshop Pro, then they were combined into the collage seen above. This meant that less time was spent adjusting camera settings in the field, allowing photographer Jeremy Rundle to spend more time actually enjoying the event itself! 4th May 2007 Sun, with two double stacked 0.4 Neutral Density filters on the end of a PST and 1000 sec. with a Starlight express camera. Captured in Astroart and edited in both Astroart and Paintshop Pro. Picture added on 13 May 2007.